The Denton Community Demonstration Garden has a brand new sign! A big thank you to our volunteers Greg Vandevisser and Mickey McCrea for their help installing the signs. Check out photos of the new sign online at the Denton Community Demonstration Garden’s Facebook Page. 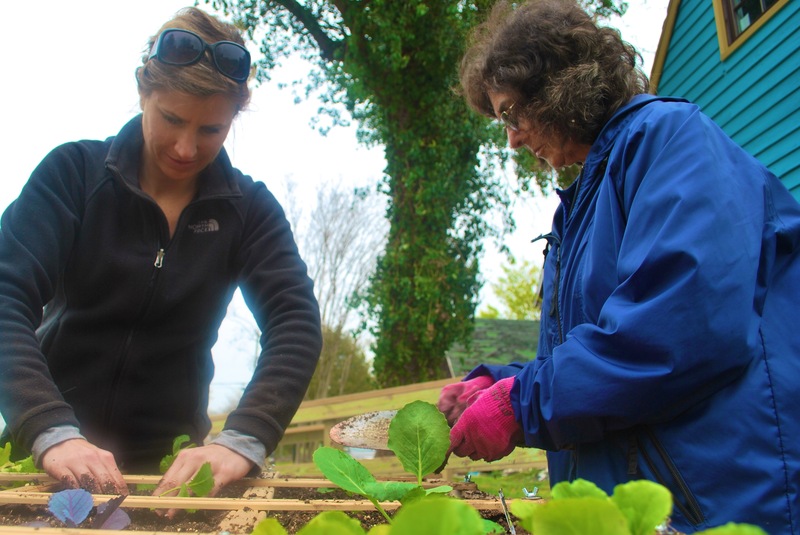 The garden is underway and to keep things moving forward, we have established the following committee meetings on Tuesday, April 17 at The Foundry, located at 401 Market Street, Denton. If you are interested in getting involved, we’d love to have you attend one of the following meetings! 6:00pm: Promoters – help us get the word out about the garden – we need to finalize and implement a marketing plan. 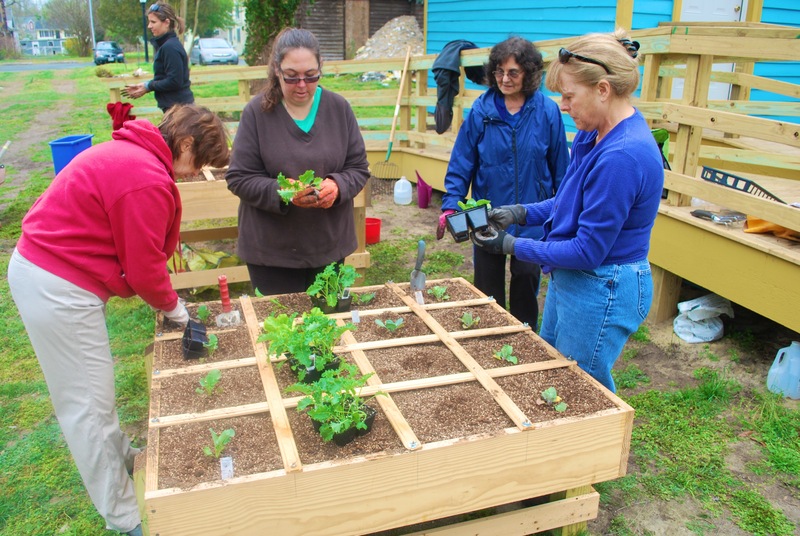 7:00pm: Plant ‘n’ Tenders –help anticipate and address garden challenges – we need to devise a planting and tending schedule with committed volunteers. 8:00pm: Builders committee – help us make the concept a reality – we need to plan and schedule the fence, hardscape, benches, and other infrastructure. The Denton Community Garden breaks ground! 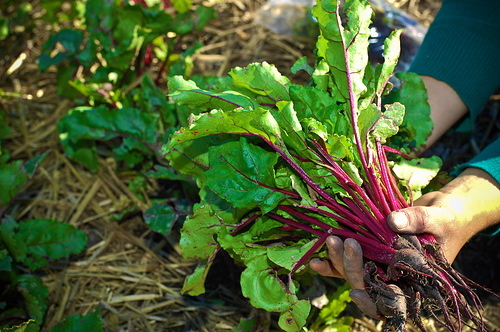 On Saturday, March 31st 2012, the Denton Community Demonstration Garden broke ground with their first planting! 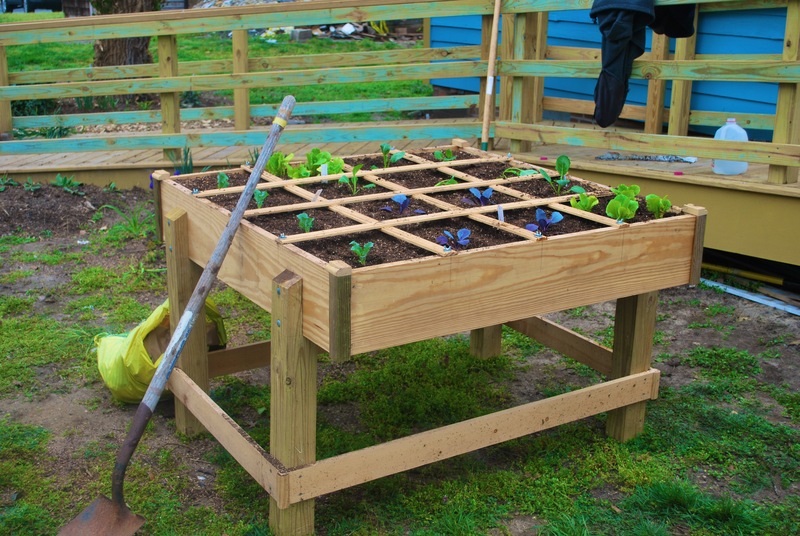 The initial planting utilizes the square foot gardening technique, a unique and efficient gardening method that has been popularized by gardener Mel Bartholomew. 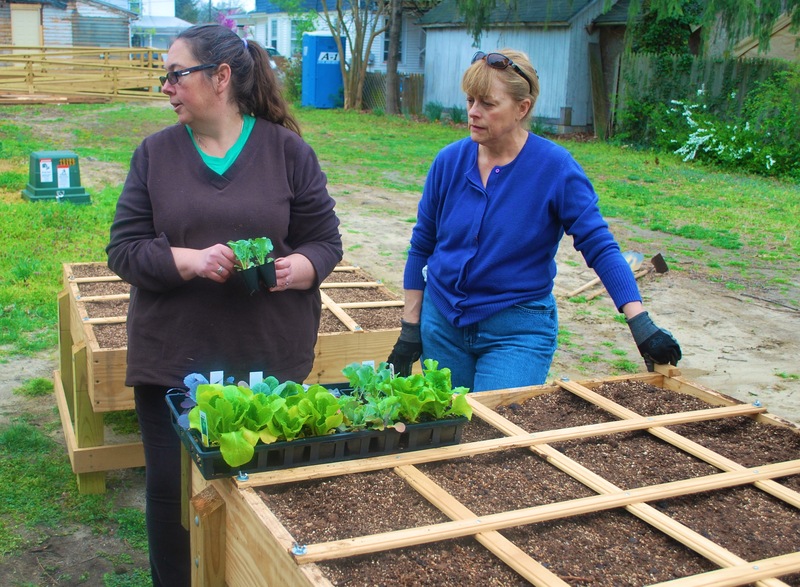 The group worked to fill the raised beds with a soil mixture of compost, vermiculite and peat moss before planting the early spring veggies. 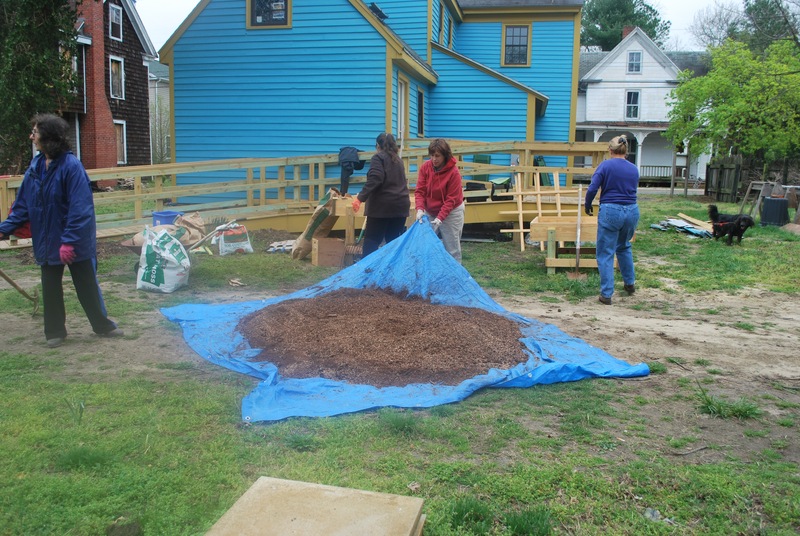 Check out the photos below of the start of the garden!